Hello, lovelies! Have you seen my previous style post? In today's post, I am featuring again Fashion71.net products they sent over last week. Our accommodation in ARUGA By Rockwell was a great opportunity to take outfit shots and I am really happy with the result of the photos because it was all great and the outfit was really highlighted just how I wanted it to be. I've never been this happy in expressing how much I love a particular store but this one deserves recognition and a must-share to all of you, lovelies. If you're looking for a store that offers wholesale clothing, you must check out this store. Just click the link below or click the photo above to see more photos and outfit details. This sleeveless houndstooth double buttons suit is a must-have in your closet. 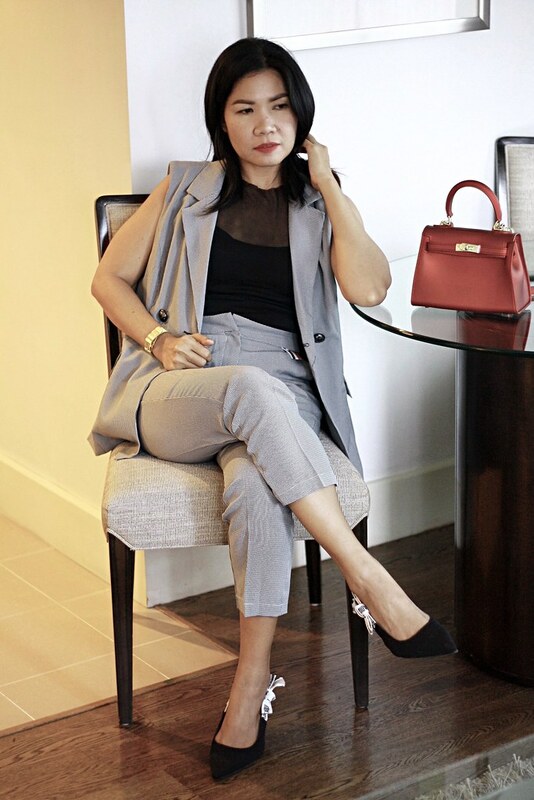 I find this suit versatile because I can wear it a suit if needed for a lady-boss look and I can also wear the top and bottom alone for smart casual look. The houndstooth print is the just the way I like; tiny print and not big ones. The quality is very nice. The material is great and it was neatly sewn; there are no excess threads in sight. I am usually Medium but I got mine in size Large for this suit for the reason that based on their size chart on the product page, my current 72 cm waistline will fit their size Large (which is 74 cm) and when it arrived, the size is really true. The top suit just fit fine on me; I love something loose though if I have gotten this suit in Medium, this will look slim-fit when worn. It's a worthy buy, lovelies! This fashion pure color all-matching handbag was perfect for this suit. 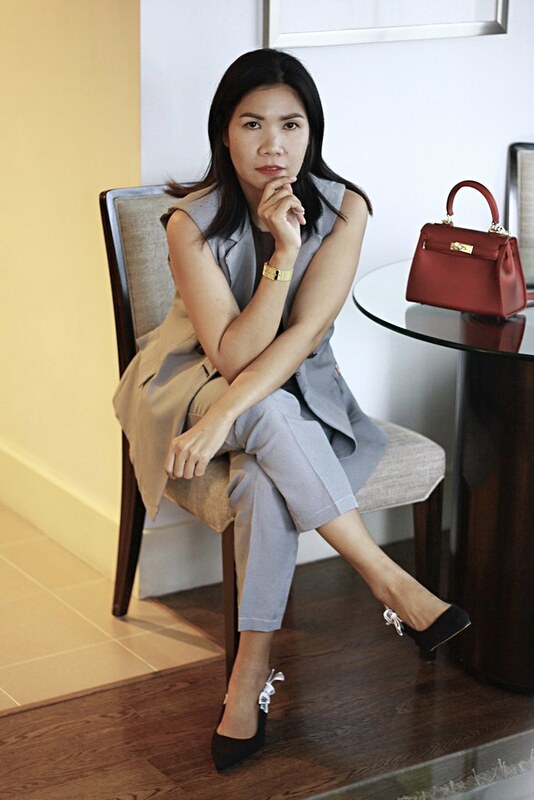 Nothing will spice up your corporate attire with a pop of red handbag. As the saying goes, life is too short to wear boring clothes, so spice up your outfit, lovelies. I love this handbag because I can wear it without the strap for a chic corporate look and I can also wear it as sling bag for a casual look. This bag is versatile!